A LATE penalty put an end to the Saints' hopes of continuing their winning form yesterday, as Thurso struck late on to win 2-0 at the Dammies and take all three league points. With just Adam MacDonald missing from last week's starting lineup, Stuart Ross recalled Joe Sutherland to name a familiar eleven for the visit to Sir George's Park. Three trialists took places on the bench, while returning loanee Liam Taylor was also named. The first half was one of limited goalmouth action, as both defences kept their side of the scoresheet clean. Thurso offered the first threat after five minutes when Martin Ross played a neat ball into the box for Korbyn Cameron to attempt a volley in mid air, but the ball flew to safety. At the other end, new signing Jon Campbell offered the Saints' first test with a speculative effort, easily held by Asa Sinclair. Moments later, Jake Lockett sent a long shot in to Sinclair which put the Thurso stopper under pressure as the ball fell behind him. Then followed an injury scare for St Duthus's John Skinner as the veteran centre half went down with a head knock. The Tain men breathed a sigh of relief as play resumed and he was okay to continue. Jake Lockett had his head in his hands after a missed opportunity on 30 minutes, just misqueuing an effort after receiving a square ball sent across the face of goal by Will Ross from the right side, the rebound falling to the striker just seconds after before being cleared to safety. Then, persistent work from Cammy Mackintosh on the same wing saw Jamie Skinner force a block in front of goal. Steven Martin was forced to make a save from a scuffed shot following a neat ball over the top of the defence as the game continued and minutes later, the Saints forced a save when good work from Jamie Skinner led to the forward testing Sinclair at his near post after he turned the defender. The game continued with end to end action but mostly set pieces and corners to speak of, as the tempo increased along with some fiery tempers, as cautions were issued to both sides. Jon Campbell, in particular, collected a booking after an earlier foul led to an altercation with Thurso's James Murray. St Duthus continued to enjoy the better of the play without really testing Sinclair in the Thurso goal, as the game's first half ended all square. The manager made a swift tactical change at half time. Liam Taylor was introduced for Steven Learmont, with Jake Lockett moving wide and Taylor taking the lone striker spot. Thurso began looking for the opener with renewed vigour and just five minutes from the restart the home side sent an effort over the bar. Moments later, the Saints defence had to be alert to block a shot from just six yards out, Garry Macleod alert to the chance. St Duthus thanked their stars as Marc Begg rattled the crossbar with a speculative effort from 25 yards out after 55 minutes which left Martin standing, before running in on goal looking for the rebound which Martin collected from a John Skinner headed passback. On the hour mark, Jon Campbell forced a save from Sinclair with a shot on the turn after a spell of head tennis in the midfield, and shortly after at the other end, Begg shot over on the half volley from 20 yards out. 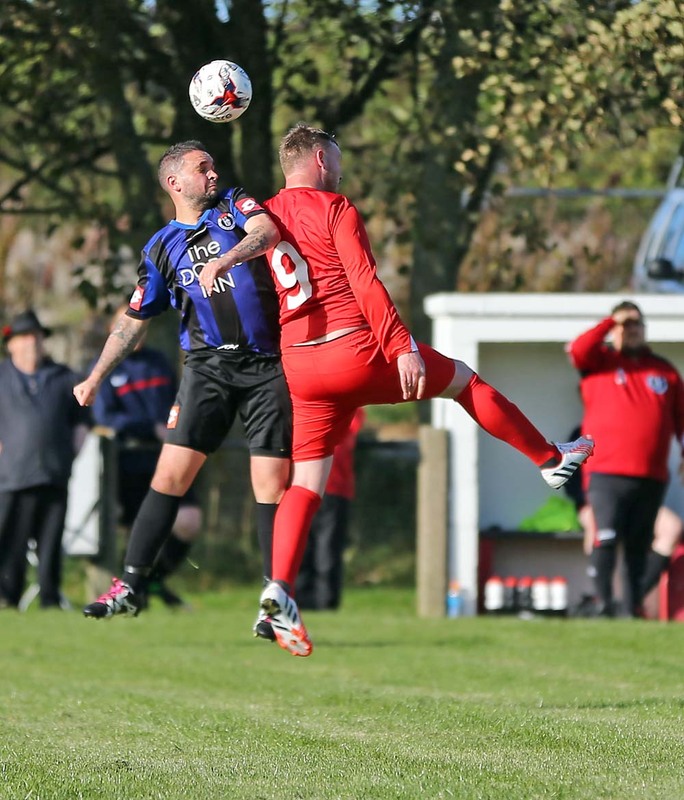 A pacy counter attack led to Thurso's Murray shooting wide from eight yards, as the Saints were handed another reprieve, Murray pounding the ground in frustration. At the other end, a great pass from Jamie Skinner found Taylor up front, but good work from Sinclair in the Thurso goal thwarted the Saints striker. It was to be Paul Cowie's last action a few minutes later as a series of knocks forced him to withdraw and Andrew Miller took to the field as his replacement. On 77 minutes, Thurso were awarded a penalty for an apparent push on Cameron. The Saints touchline contested the decision, which was a weak award in light of some of the challenges being offered elsewhere on the park. Marc Begg did the needful and stuck the ball past Martin to make it 1-0 to the home side. St Duthus battled for an equaliser in the remaining minutes, winning a series of corners; their best effort a Taylor shot blocked on 85 minutes. An offisde call followed as Thurso had the ball in the net with a lob from a cutback, before the goal was disallowed. Thurso were not done yet and with three to go, Martin produced a superb save to block from just a few yards following a low pass direct from a free kick. The stop was ultimately in vain as the assistant waved for offside again. Thurso's second arrived just a few minutes later. Collecting the ball on the right wing, substitute Stevie Morris put the Saints to the sword with a half volley into the far corner of the net struck from a tight angle. 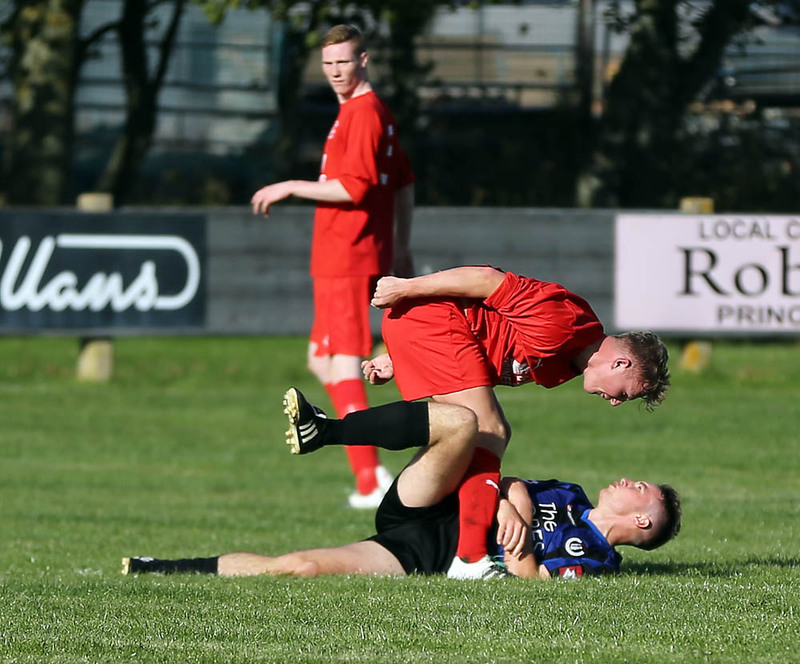 Despite four minutes of injury time being played, the Tain men offered no further reply.